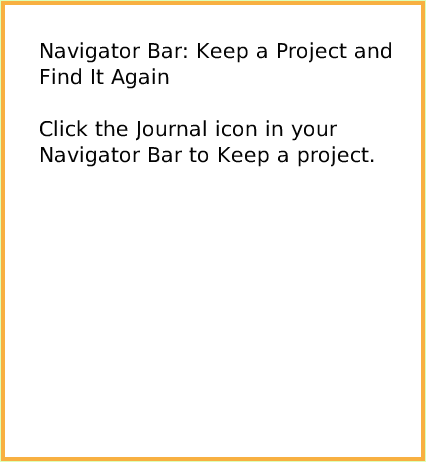 Text of this guide (for searching): Navigator Bar: Keep a Project and Find It Again Click the Journal icon in your Navigator Bar to Keep a project. 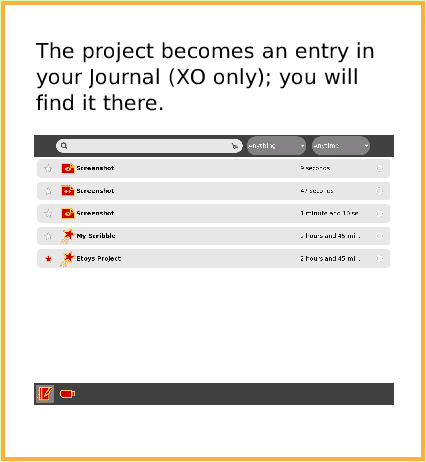 The project becomes an entry in your Journal (XO only); you will find it there. 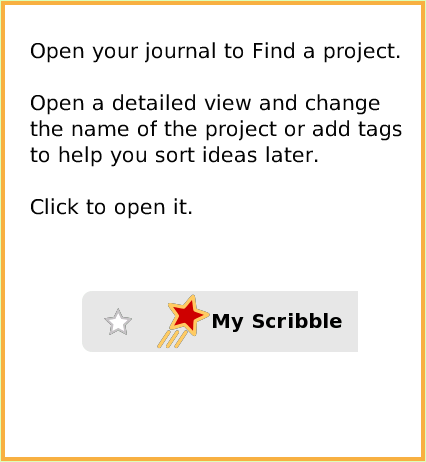 Open your journal to Find a project. Open a detailed view and change the name of the project or add tags to help you sort ideas later. Click to open it. 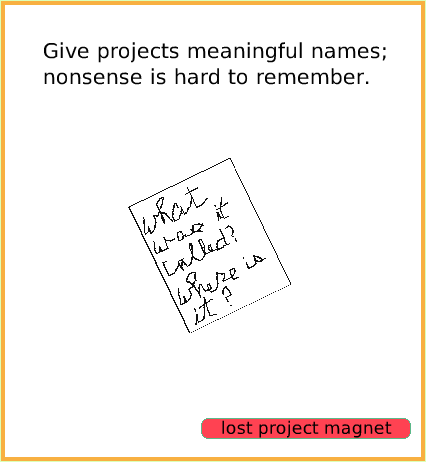 Give projects meaningful names; nonsense is hard to remember.